The Molecular Biology Laboratory (MBL) was established in 2005 within the Department of Biological Sciences. 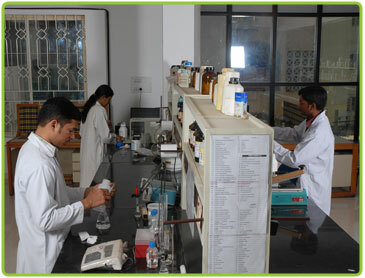 MBL provides research facilities to conduct the experiments in the filed of Molecular biology and plant biotechnology. The MBL is facilitated with 2 Thermal Cyclers, Gel documenting system, Refrigerated Centrifuges, Deep freezers and 2D- Electrophoresis system with also with well established protocols to follow. The genetic factors responsible for the Santalool production in Santalum album trees of South Indian region. The plant-insect interactions at the levels of metabolomics, in finding the best cultivar to resist the pest damage. The safflower oil content and improvising through transgenic strategies. A Molecular characterization of Wolbachia population in Trichogramma species of Indian population. The Jatropha oil content improvising to form a renewable energy resource through transgenic technology.